Several beaches are located between Jenner and Bodega Bay on Highway 1. The Salmon Creek Ranger Station located halfway between the South Salmon beach parking lot and the North Salmon beach parking lot off of Highway 1. Campground Map - Willow Creek & Pomo Env. Willow Creek Environmental Campground is CLOSED as of Monday November 5th, 2018. Pomo Canyon Campground is CLOSED and will remain CLOSED until further notice. **Continue to check back on the State Park website or go to facebook for updates. The CDPH warnings against eating sport-harvested clams or whole scallops in the counties of Marin, Santa Barbara, Santa Cruz, and Sonoma due to dangerous levels of PSP, and sport-harvested razor clams from Del Norte and Humboldt counties due to dangerous levels of domoic acid, remains in effect. So does the statewide annual quarantine on sport-harvested mussels. A parent or guardian must accompany youths under 18 years of age. 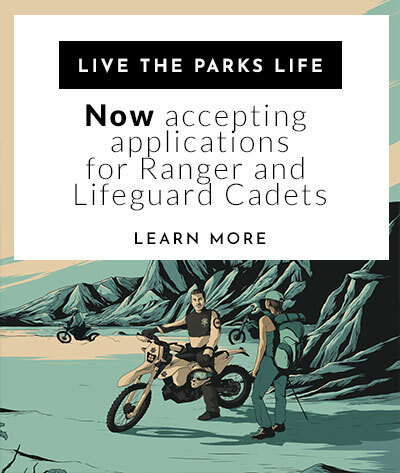 The Supervising Ranger may approve the stay of a juvenile that presents written consent from their parent or guardian that states the dates of the authorized stay and the park name. Additionally, a verifiable contact number for the parent or guardian must be provided as well as medical consent in the event of an emergency. If staff is unable to make contact with a parent or guardian, the juvenile will not be allowed to stay in the campground. 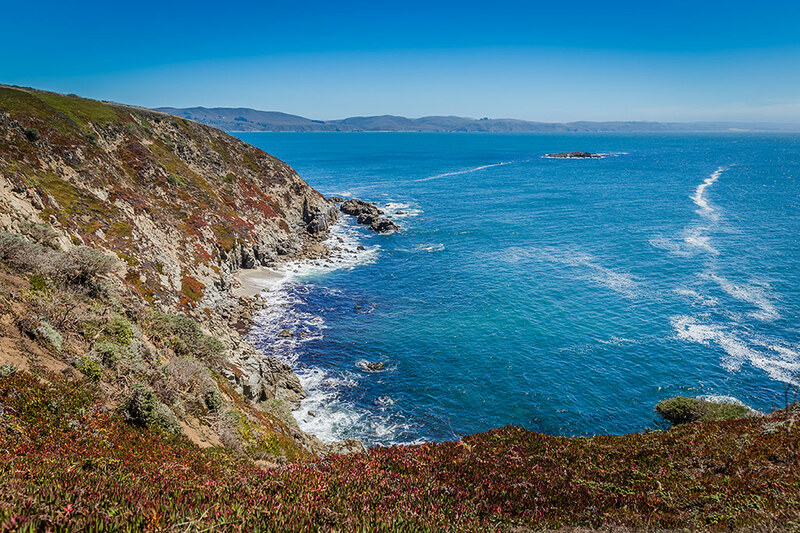 Long sandy beaches below rugged headlands, a craggy coastline with natural arches and secluded coves are features that make Sonoma Coast State Park one of California's most scenic attractions. While the north coast weather can be foggy in the summer, it usually burns off by midday and the cool ocean breezes make the Sonoma Coast a haven for visitors seeking to escape the inland heat. The Sonoma Coast is comprised of several beaches separated by rock bluffs and headlands. Sonoma Coast SP spans 17 miles from Bodega Head to Vista Trail which is located approximately 4 miles north of Jenner. Beachcombers, fishermen, sunbathers and picnickers can access the beach from more than a dozen points along coast Highway 1. The Salmon Creek Ranger Station is located on Highway 1 midway between the South Salmon beach parking lot off of Bean Avenue and the North Salmon Beach parking lot. The weather can be variable and layered clothing is recommended. We suggest having a fully charged cell phone available for use in case of an emergency while visiting our parks. Bodega Head is the rocky headland that forms the entrance into Bodega Harbor. The harbor side provides a popular crabbing area along the jetty and the many hiking trails on the ocean side allow access to small, sandy coves and spectacular scenic views. The high cliffs offer excellent vantage points for observing migrating gray whales. Goat Rock, near the mouth of the Russian River, is known for its scenic shoreline and easily accessible sandy beach. Picnic tables and restroom facilities are also available. Goat Rock beach is home to a colony of harbor seals which are fun to watch, but please stay at least 50 yards from the seals, especially during pupping season (March - August.) Due to the protected status of the seals, DOGS are NOT allowed on Goat Rock Beach. Dog are allowed on Blind Beach which is off the south parking lot at Goat Rock. Dogs must remain on leash. Goat Rock is part of the Russian River State Marine Conservation Area (SMRCA) and fishing is not allowed from the north side of the south parking lot to Muniz Ranch. Periodically the Goat Rock gate closes to vehicle traffic during day use hours when dangerous ocean conditions prevail. When this happens, the conditions are monitored throughout the day and the parking lots reopen if/when conditions allow. When the road is closed under these circumstances, visitors are still allowed to walk in. Please be mindful of the dangerous water conditions that could jeopardize your safety. Never turn your back to the ocean. Always stay well above the highest water marks in the sand. Try to have someone with you or at least let someone know where you will be. Shell Beach is a favorite location for beachcombing and tide pooling. It is used by schools as an outdoor classroom for the study of tidal pool marine life and enjoys a reputation as a prime fishing spot. Duncan's Landing is famous for two things: as an early-day landing for loading small coastal ships with lumber and food products and for being the most dangerous point along the Sonoma Coast due to large and unpredictable surf. Heed the signs and stay off the rocks. The waves have come up to the parking lot and people have been swept off the rocks. In the spring the wildflower displays are spectacular. Portuguese Beach & Schoolhouse Beach are beautiful sandy beaches surrounded by rocky headlands. Rock fishing and surf fishing are popular in these locations. Like most north coast beaches, Sonoma Coast is NOT FOR SWIMMING. Strong rip currents, heavy surf and sudden ground swells make surf play dangerous. A small staff of well-trained lifeguards are usually on duty during the peak season, however with so much coastline to cover, they may not be immediately available. It is especially important to keep children back from the highest water-line mark and never turn your back to the ocean. Many rescues and recoveries are made each year. Also, be careful of the bluffs and rocks. The shale formations are unstable and unsafe for climbing, so stay on the trails and heed warning signs. Call ReserveCalifornia for a reservation 48 hours to 6 months in advance. 1-800-444-PARK Wright's Beach offers 27 developed campsites located adjacent to the beach. 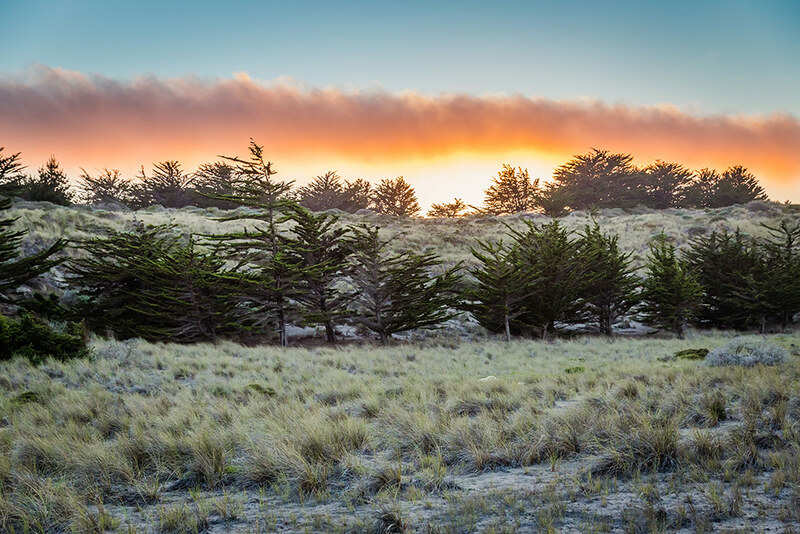 There are no showers, but registered campers may use the token operated hot showers at Bodega Dunes Campground which is approximately 5 miles south). Additionally, Bodega Dunes has a potable water fill station and a dump station that service both campgrounds. There are no potable water filling areas at Wright's Beach. Do not use spigots for your filling needs. 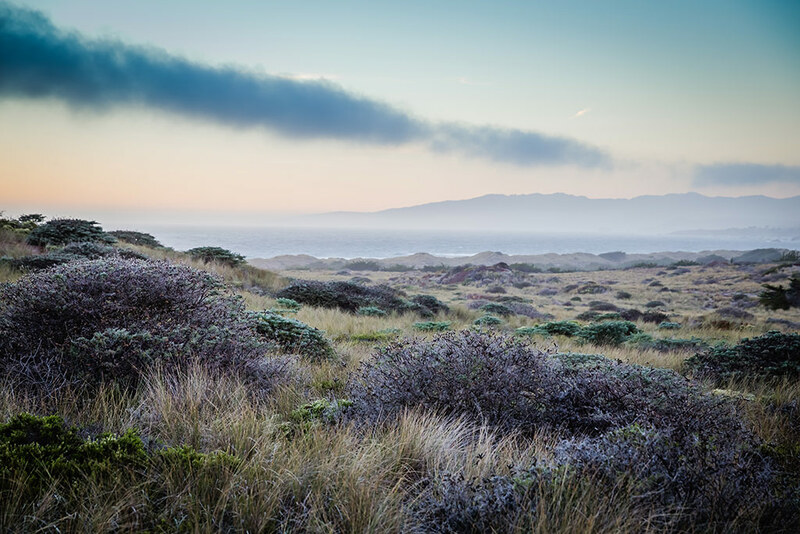 Fill up your water tanks at Bodega Dunes prior to you arrival. Maximum trailer length is 27' and hook-ups are not available. Each site has a picnic table, fire ring and a paved parking spur. Running water and flush toilets are available in the bathrooms. Max occupancy is 8 people and two vehicles per campsite. All vehicles MUST stay on paved parking spurs. Any vehicles that do not fit may be taken to the overflow parking lot in the day use area. Wright's Beach does not offer group camping. When the campground is full, the overflow area on either side of the kiosk may be used for self-contained vehicles on a first come, first served basis. Reservations are recommended, especially on the weekends, holidays and during the peak season. Bodega Dunes- Leashed dogs allowed in campground. No dogs allowed on Bodega Dunes Beaches or in the dunes. No group camping available. Call ReserveCalifornia for a reservation 48 hours to 6 months in advance. 1-800-444-PARK In our peak season there are 99 campsites available. We offer token operated hot showers, flush toilets, and a potable water fill station and a trailer sanitation dump station. Tokens are available from the kiosk when it is open. The fill and dump station serve both Wright's Beach and Bodega Dunes. Maximum trailer length is 31' and hook-ups are not available. Maximum occupancy is 8 people per campsite. All vehicles must park on the paved parking pads. Any vehicles that do not fit on the paved parking pad may be taken to the overflow parking lot. Bodega Dunes does not offer group camping. The day use area includes a boardwalk that overlooks a classic sandy beach. No dogs, fires or horses are allowed on the beach as a measure to protect the snowy plovers. The Western Snowy Plover is listed under the Federal Endangered Species Act as a threatened species. Loss of nesting habitat is due to human development, horses, invasion of European beach grass and predation by ravens, foxes, domestic dogs and cats. 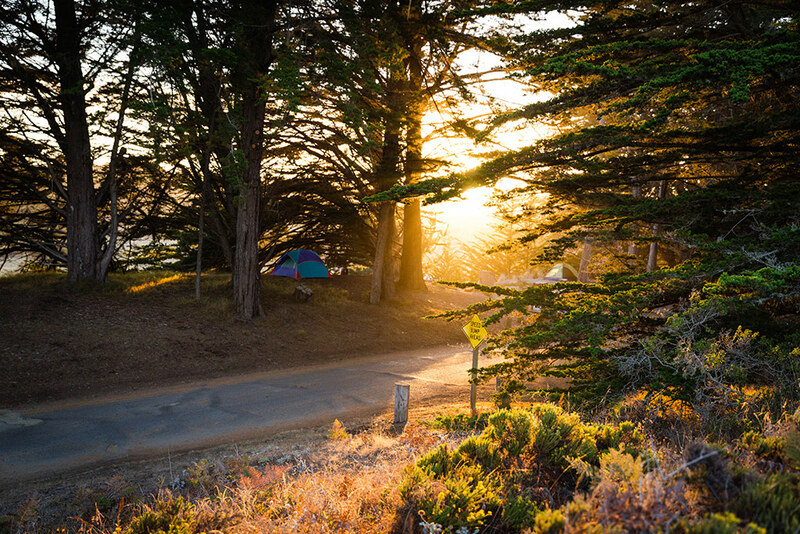 **Many of the campsites at Bodega Dunes have been renumbered, please verify the correct campsite number before registering. 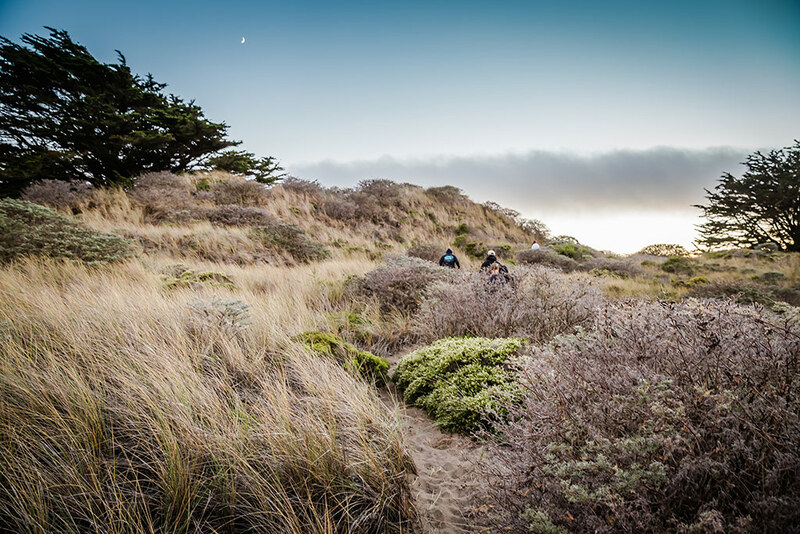 A communal site is available for on foot hikers and bikers at Bodega Dunes campground. The cost is $5.00 per person, per night. The site is located between sites 17 and 18. There is a fire ring, picnic table and food locker for communal use at this hike and bike site. This site is for the exclusive use of hikers and bikers that are not associated with any vehicle. Tokens for the showers are available when the kiosk is staffed. The token machine also accepts dollar bills. Willow Creek Environmental Camp- No dogs on road, beach or in campground. No group camping available. When open, Willow Creek Campground offers 11 first-come first-served primitive campsites. There are fire rings, picnic tables, and pit toilets available. All of the walk in campsites are within 1/4 mile from the parking lot and there is no running water. This is the only state park campground located near the Russian River. The sites are mostly shaded by willows and are relatively close to a large beach for swimming and fishing. Blue heron, egrets, osprey, and occasionally river otters can be seen by the river. To protect the wildlife, no dogs are allowed. These sites are not on the reservation system and are first-come, first-served only. Please only camp in the designated campsites. 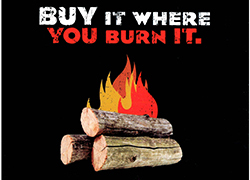 Camping outside of these designated campsites may result in a citation and ejection from the campground. You must self-register prior to occupying a campsite. There is no credit card payment capability. Pay fees with cash or check. Willow Creek Campground is a dry campground which means there is no water available. Please pack in/pack out all trash. California State Parks is implementing new policies and restrictions on state beaches as part of the expanding effort to protect the western snowy plover. Some measures will result in additional restrictions on visitor use in areas that provide important plover habitat; particularly nesting areas. This includes enforcement of existing regulations that prohibit dogs and horses on certain state beaches. The new rules do not prohibit leashed dogs in campgrounds, picnic areas, parking areas and roads, where dogs are allowed under state regulations. Click here for beaches where dogs are allowed District Dog Guidelines. The Department will limit disruption of public use as much as possible, but at the same time maximize its protective efforts for the threatened shorebird. The Department has been implementing site protection and enforcement at many plover nesting areas for years. However, more areas will be afforded protection by the expanded effort set forth in the new management program. 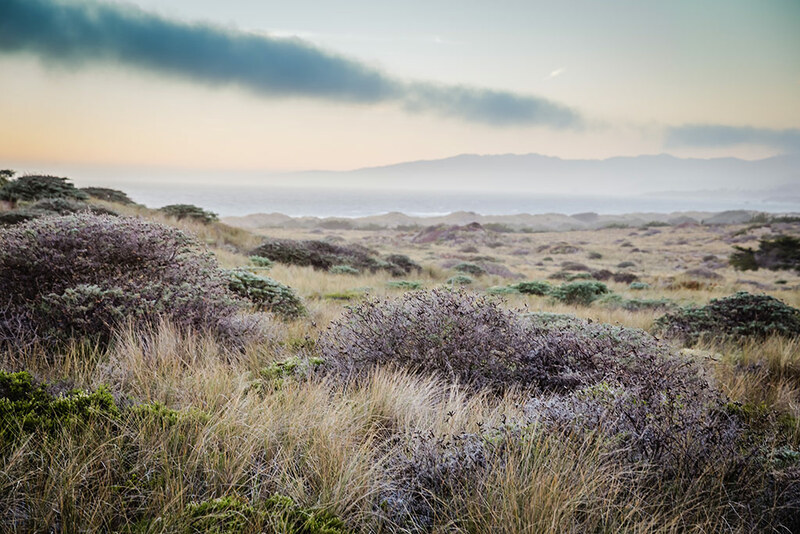 Salmon Creek Beach and Bodega Dunes Beach are protected areas for the snowy plover. Dogs, fires and horses are strictly prohibited on these beaches.